Evertaut Limited | Evertaut Limited is one of the leading seating suppliers & manufacturers in the UK. Evertaut Limited – Evertaut Limited is one of the leading seating suppliers & manufacturers in the UK. Evertaut Limited is one of the leading seating suppliers & manufacturers in the UK. Most of the people might have been to a cinema more than once. If you are asked the reason for which you like to visit a particular cinema then you would probably mention comfortable seats. It is a pleasure to sit on cinema seats which provide relaxation to the body. People would not like to visit a cinema and they would for sure find waste of money if they find uncomfortable seats inside. This suggests that if someone is running a cinema house then he/she must be very careful while choosing the seats. The seats must be ultra comfortable otherwise business will suffer. Now, take the case of an office. We all know that different types of seats are needed in an office. You may or may not keep the same seats for employees and visitors. Ideally, people should get tiered seating in their receptions areas. There is a reason behind this. When separate chairs are kept in a reception area then they get disorganized as and when used by people. The reception lobby would look very disorganized when seats are not aligned properly. If tiered seats are used then this problem would not occur. Tiered seats have around 4 to 5 seats combined together. They are heavy and therefore do not easily move from its place. Once you keep them at a place, they would stay there till the time someone deliberately moves them with force. You would be able to check out different types of tiered seats for office online. When an office or personal space is completed in terms of construction then furniture and other things are required to be placed inside it. One of the most important things which all people need in a house or office is seats. Seats are more important in commercial spaces like offices. In offices, all people whether they are employee or just visitors needs to have seats. There are conference rooms in offices and seats are also required there. The seats must be comfortable and enough for several number of people. If you check out different types of seats online then you will get spoil for choices.There are so many options that you may feel confused which kind of seats you should buy. Here, we suggest you to buy tiered seats for waiting and reception areas. The reason why tiered seating is best for such spaces is that they are connected to each other. They cannot be easily moved. In office receptions, many people can be seen coming and going all the time. If separate seats are kept in such places then they will keep on getting disorganized every now and then. When we talk about the stadium seating then we need to think differently. In a stadium, the arrangement of seats will also be different. There will be different rows. Each row will be higher than the previous one so that many people can easily see an event. 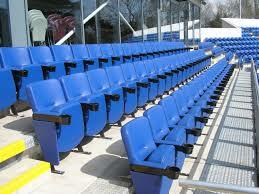 People who wish to get seats for a stadium need to contact the best stadium seating suppliers. You would be able to find such seating suppliers easily with the help of the internet. Over the internet, people will be able to access websites of different seating suppliers. On these websites, you will also be able to get information about different products offered by suppliers. Lecture seating plays one of the most important roles as the seats help in having an impact on the kind of response one can expect to get from the audience. While planning seats for lecture theatre room, one should understand that all the seats should be in same direction. So, row of chairs will allow each person to face the room and thus understand and grasp what all is going within the place. It is also a good idea to develop the fixed seating on floors such that each audience can have a proper view from their seat. I am sure none of us would like to plan any seats which does not have a proper view or which have poor sound quality, which is why planning seats on floors is a good option to choose. Hence people sitting in last rows, need not have to go through any difficulty and they would get the direct view of stage. The seats planned for theatre should have cushion against them such that it can give comfort to people during the show and let them sit back and enjoy the show. If you have in any case planned wooden or plastic seats for the place, then the hard surface might cause discomfort in audiences which is why it is recommended to not opt for these seats. Hence, such sitting arrangements should be completely avoided and instead cushioned seats should be opted for. 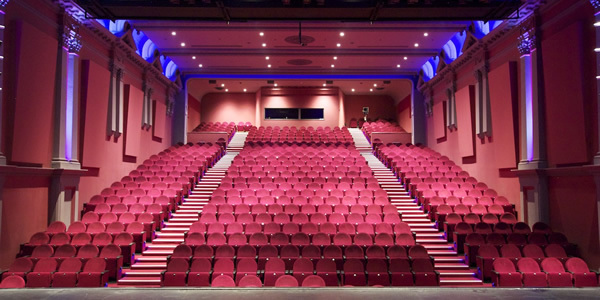 Lecture seating should thus be planned accordingly to give maximum view and comfort to the audiences coming to attend seminars, functions and any other shows in the theatre. There was a time when people had to visit the stadium in order to see a sporting event. In this modern era, people can use several ways to see any sporting event played anywhere in the world. Whether it is on television or internet or on radio, live broadcast of almost every sports is available for people. However, this has not subsided the enthusiasm of the masses to visit the stadium to witness their favorite team play. As a result of this, many hi-tech stadiums are being built with best in class stadium chairs in many parts of the world. The old ones are also improved for the people to feel comfortable as they watch a match. There are several benefits of a good quality seating arrangement in stadiums. Firstly, good and comfortable beam seating will make the spectators feel relaxed and comfortable. This is important since there are many sporting events which last for several hours. Sitting in one spot for so long can make your back ache terribly. Secondly, proper seating arrangements can make full utilization of the spaces available in a stadium. This would allow many spectators to sit at the same time. These are just a few benefits of proper seating arrangements in stadiums. If the stadium chairs are made comfortable and big enough, then people would find it more interesting to view a match directly from the stadium. This would also prove to be a good omen for various sporting events organized all across the world. 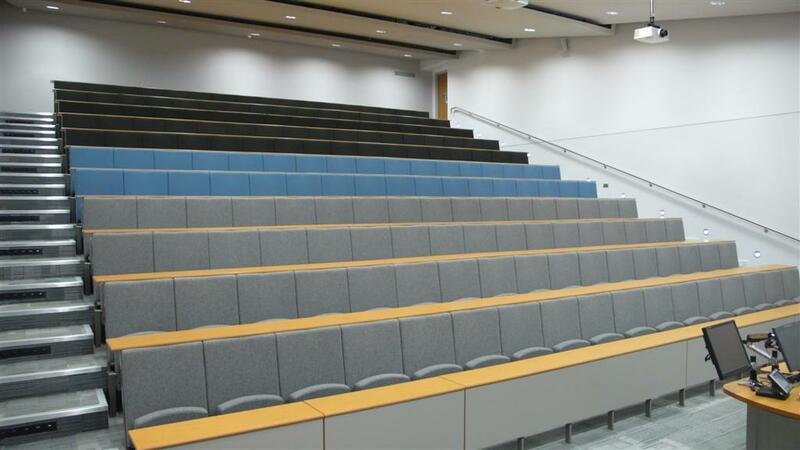 Lecture theater seating is found in lecture halls on college schools, in companies that deal with multitudes of staff members, as well as in medical institutions that teach along with recover. Lecture theater seating needs to be set up in specific ways for it to fulfill the logistics of the room and the function of the chairs. Lecture theater seating and beam seating is set on slowly enhancing floors so that each row of chairs has the ability to see the lecture podium and the visual screens that the teacher reveals. This is the exact same way that you see seats in move movie theaters set up. Each row is considerably greater than the row prior to so that everybody that visits the movie can see the screen without blockage. 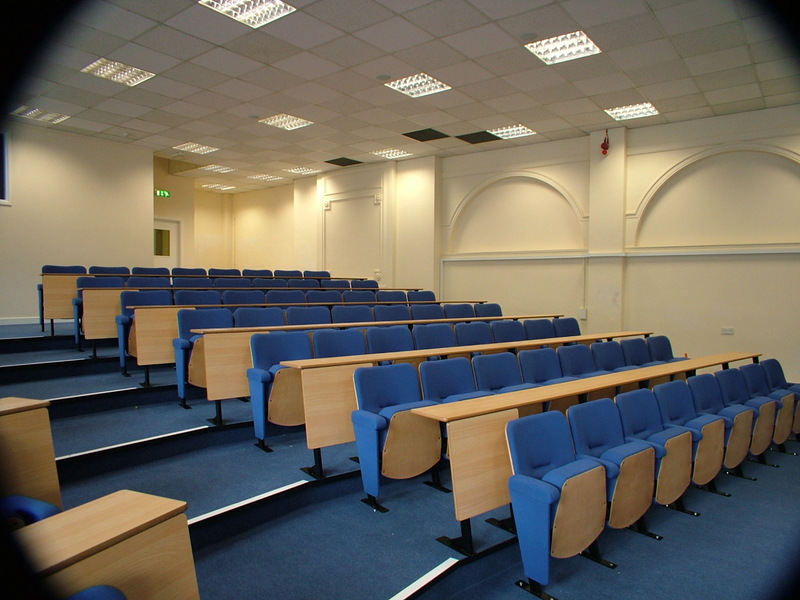 Lecture theatre seating generally has seats that fold to make it simpler for individuals to stroll down the aisle and get to a seat and making the cleaning of the hall simpler to do. When individuals get to the hall after other individuals have already been seated the raised seats enables them to slip through the aisle with little problem. The aisles in between the seats are typically slim and this makes getting to the middle seats rather challenging. The aisles are developed slim so that more rows of seats can be set up in an area. The more individuals that will suit the room the much better, in the eyes of the organization. The aisles are slim and there is extremely little room for your legs and feet. When you establish auditorium seating for a big crowd then you have to get into different challenges. You have to give people chairs to sit which should be comfortable and at the same time you have to provide enough space between each row of the chairs so that people can move their legs easily. You should provide safest seating solutions and must do all the things with in the given budget. You have to add as many chairs as possible in the area while maintaining comfort level of patrons. Auditorium seating can a single framed product or you can purchase chairs which connect together on a single frame system. Because the frame systems take up less space, shared framework auditorium seating makes most of the room for you. The chairs attached to each other will need less room than single frame chairs. You actually get to place extra chairs in the region and you also increase the amount of space between the seat rows. This certainly means that people will have extra room from their legs and ultimately they will be quite comfortable when they are there. When people are comfortably sitting on chairs they automatically become happier and happier people would spend more money on the concessions and other items that the establishments have to offer. Safety is quite a concern of commercial businesses. You would never ask someone to visit your establishment if you cannot provide comfortable seating’s. The chairs which share common frame are quite safe for public. The tiered seats are yet another option. Thus, choose your option wisely! Seating arrangements are different for different spaces. They just differ from place to place depending on the requirement and space available. 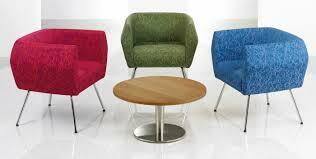 When you are choosing or designing chairs for a number of places like office waiting rooms, theatres etc. you need to be careful that chairs are not merely aesthetically appealing but are comfortable too. Waiting rooms in the offices are important area although they are neglected most of the time but that’s the only place where you can entice your customers. This particular area helps you to make first impression that lingers with the client for a very long time. Chairs which are designed for the waiting room could have the colors from company’s logo so that after going through the brochures, website, the customer has a deep impression on them. This ensures continuity as well as brand recall. The low weight chairs are quite comfortable for the waiting room chairs. There are different kinds of vendors who offer seating systems. But, when you are choosing a vendor for the seating systems, you need to do a little ground work. Go through the vendor’s websites, try to find out expertise of such vendors and most importantly check out their earlier work and required certifications that defines their quality standards. When you are choosing then don’t let your choice to be dependent on cost factor only, rather give comfort as well as durability and aesthetics equal importance because such seating systems have to serve for long. Know about conference seating in the upcoming posts.